Kohei Uchimura is a six-time world champion gymnast, a four-time gold medalist at the Olympics, and, apparently, an aspiring Pokémon trainer. Playing Pokémon Go in different locales can be a great way to accrue a collection of new monsters, but it can also cost you severely. Uchimura reportedly played a bunch after he arrived in Brazil without and it cost him almost $5,000 in data overages. Uchimura said he downloaded the app when he touched down in Sao Paulo for pre-Olympic training camp and just like so many around the world, became instantly hooked — not knowing he didn’t have a flat rate for overseas data usage. 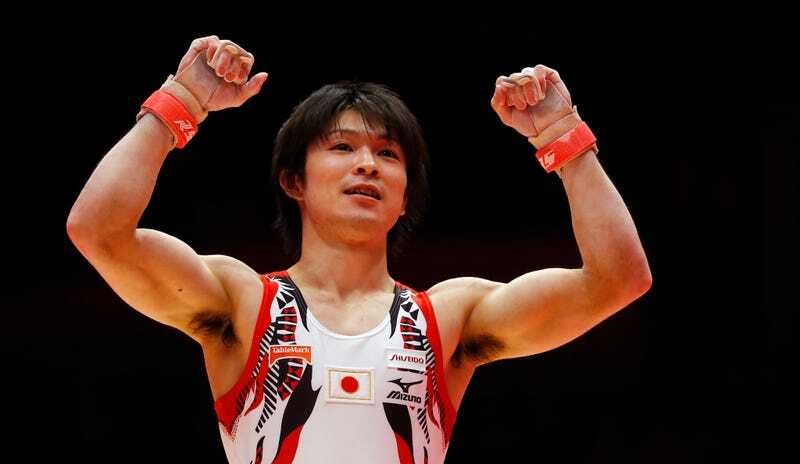 When Uchimura checked his bill, he couldn’t believe his eyes. “500,000 yen...” sighed the defending six-time world champion. It all turned out well for Uchimura, as his service provider let him buy a backdated $30/day plan. Was this all a clever plot from some other team to distract Uchimura?